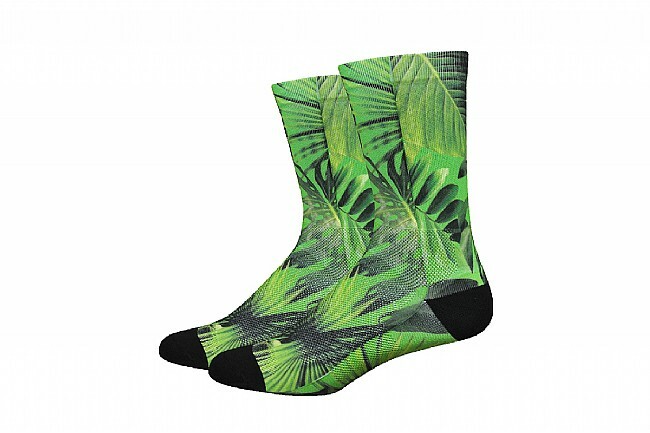 The all new Levitator Lite in this 6" cuff is DeFeet's top-of-the-line and lightest "thin" sock. The new look will embellish legs in a cutting edge design that cleanly exhibits comfort and performance. This is the first DeFeet sock to feature Repreve® Sorbtek® fiber. Made from recycled water bottles, Repreve® Sorbtek® has proven to be the fiber of the future for the DeFeet line. Confirming DeFeet's initial lab tests on the fiber, the Levitator Lite wicks and breathes better than any sock they've tested, while maintaining the legendary durability DeFeet has become known for over the last quarter century. Other features include an imperceptable, no-feel toe seam and 360 degree Aireator® mesh weave venting. 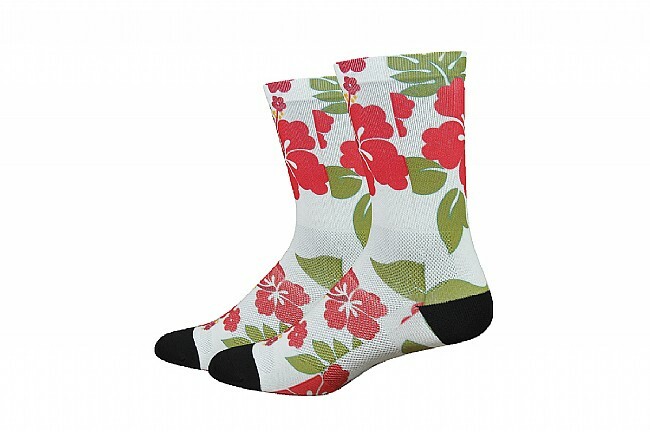 The Levitator Lite is a sock that every cyclist will want to have along for the ride. Wear a pair on your next big ride and you'll be telling your friends what you have. Empty bottles aren't finished. DeFeet has figured out how to turn trash into treasure.